TACOMA, Wash. – Seattle Sounders FC 2 had to come from behind but managed to pick up a vital 3-2 win against Rio Grande Valley FC in a thriller at Cheney Stadium on Saturday night. It took just 45 seconds for Seattle to open the scoring after some smooth passing opened up space allowing midfielder Ray Saari to chip the ball to forward Felix Chenkam at the far post to head home easily. RGVFC found an equalizer in the 22nd minute after a big mistake from S2 goalkeeper Calle Brown, who held the ball at his feet for too long, allowing Toros forward Matias Zaldivar to slide in and steal the ball before easily passing it into an empty net for his first professional goal. In first-half stoppage time RGVFC saw its pressure pay off after S2 failed to deal with the ball in the box which fell to an open Guillermo Delgado, who poked home Victor Garza’s cross. The Toros came out from the break riding the momentum of that stoppage-time goal as they created all the opportunities in the early stages of the second half but failed to get shots on target. That was punished in the 67th minute when S2 defender Rodrigue Ele sent a through-ball for Chenkam who was able to simply toe-poke it over the goalkeeper for the equalizer. One minute later Chenkam nearly had his hat trick as he was played through again but sent it agonizingly wide of goal. Eight minutes from time S2 sealed the win after midfielder Azriel Gonzalez responded quickest to a loose ball, running onto the rebound for his first professional goal. 1. Things were looking good for RGVFC with a lead at halftime, and momentum heading its way. But for the third time this season RGVFC couldn’t hold onto the lead, a trend that is surely concerning Gerson Echeverry. 2. Needing a win in this match after four straight losses, S2 knew that if it could produce chances the goals would come. Coming into the match leading the league in shooting accuracy (63.04 percent), S2 continued to keep the ball on target when chances arose with an accuracy of 50 percent, allowing Seattle to score three goals off just 10 shots. 3. Still looking for its first win of the season, RGVFC only has a few days to find a way to score more goals and get that victory against Portland Timbers 2 on Wednesday. One thing that would likely help is patience, with RGVFC taking 10 of its total 17 shots from outside the box, making it too easy for Seattle to save or clear the ball. 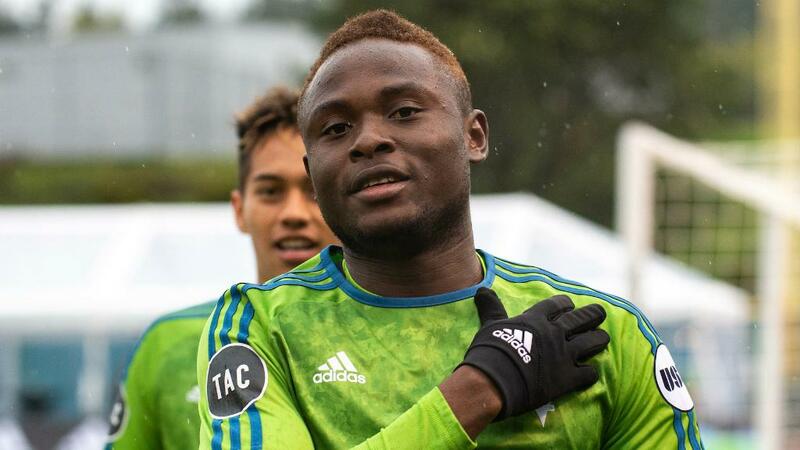 Felix Chenkam, Seattle Sounders FC 2 – Chenkam sealed a brace thanks to his smart running, dropping in behind the RGVFC defense all match to get space for shots, scoring his two goals on four shots.